Colin: So, you've got a show coming up "A Generous Beast". Can you talk a little bit about where that title came from? Liz: When I began to put the show together, I had a handful of artists that I know I wanted to work with. Miriam Dubinsky has been making these great lithographs with rabid animals and giant donuts--real nuttiness. Since the completion of her artist book "Der Struwwelpeter," Sanya Glisic has been working on some great screen-prints that are a little more stretched out, less illustrative. I really dig those. And screen-printing duo Sua Yoo and Wax-Wing, who are both students at SAIC are working on some monstrous collaborative prints that can be folded into zines. My own work is very animal-centric, and has some real weirdness happening. So the title really just came from the group of artists that I wanted to bring together. It's something that expresses the beauty of the effort going into these works. I sometimes think of artists as mothers and fathers, birthing these fantastic creatures. It is an act of generosity to make something to share with everyone else, and I think it's even better when the product has an element of playful ugliness--it's a reflection of ourselves. Colin: Is there something about the medium that is essential to, or informs the creatures you create? Liz: Sometimes I like to make more simple, graphic images, and the bold line quality I can achieve with woodcut mimics the disposition of the figures. I am currently working on a series of mythological creatures that I'm making really quickly and intuitively. They are reduction prints, but they're very basic and cartoony, with a strong black outline. Liz: When I'm making more delicate images, the reduction process figures into the equation a great deal more. Some of the prints in the "Dimorphisms" series which I completed earlier this year have really intricate carving, and they have multiple layers of ink, so there is a lot more planning involved, and the different layers have to be able to talk to each other, which I think makes for a more deliberate image. Some of the creatures in that series because softer as I carved them, and took on a more stately feel--which really reinforced the way I thought of the particular species in the series. I think once you become comfortable with a technique, you can achieve a lot of different results by manipulating it. I think at this point I might be better with a gouge than with a pencil. ok done! Colin: Is this the first group show you've put together? What else can we expect next Friday? Liz: Recently I co-curated a show for the Milwaukee Avenue Arts Festival, called "Calling Home." It was really rewarding, and great to work with so many talented people. This will be the first group show I've organized on my own, but with so many wonderful artists an musicians involved, as well as Forte' owners, Jude and Jill, it's really a unified effort. It's sure to be a dynamic evening, featuring 8 artists who run the gamut stylistically, but share a sense of odd humor and a love of strange beings. The night will also include 4 live performances, which include Owl Junior, an eloquent singer-songwriter and visual artist in his own right, Eric Roth, an improv comedian and member of the acclaimed "Other Other Guys" troupe, Coke Rats, a talented duo who pair a contemplative sensibility with infectious energy, and In-Animate Objects, a stripped-down variation of the hip-hop 6-piece Animate Objects, featuring Squair Blaq. So there's going to be something there for everyone. Colin: Sounds awesome. Fun fun fun. 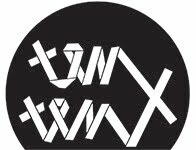 Speaking of Antar (Squair Blaq) you’re both working on a collaborative print and song for Ten x Ten. You just met, but he’s bringing Animate Objects to play at your show? Liz: Yeah! I think Generous Beast is a great example of how projects like Ten x Ten, which bring creative people together who might not meet otherwise, have a ripple-effect that changes the whole art community, and makes the art better, ultimately, because the better you know someone, the more fluid the collaboration becomes. So I'm very excited about their set on Saturday, and the finished 10x10 series in December. Colin: I have to end quickly, late for band practice.